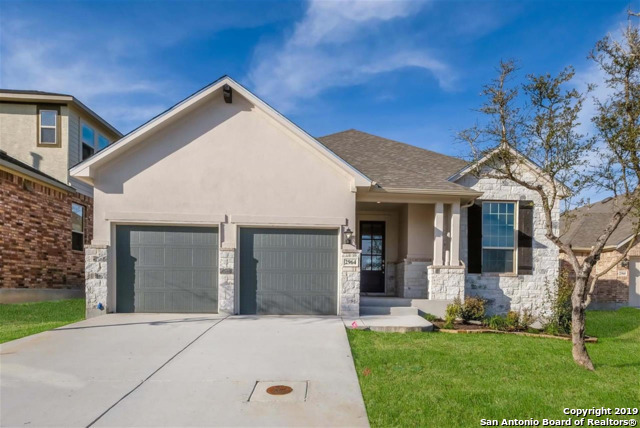 All VENTANA homes currently listed for sale in Bulverde as of 04/18/2019 are shown below. You can change the search criteria at any time by pressing the 'Change Search' button below. "MLS# 1362216 - Built by Highland Homes - May completion! ~ Beautiful home located on a quiet street. New version of the 204 plan with higher ceilings and taller windows. Features the enhanced kitchen with peninsula island with lots of cabinets and counter space. Upgrades include white kitchen cabinets, decorative kitchen backsplash, and wood look tile. Ready for move in this summer!" "Must see this gorgeous home! Open floor plan, perfect for entertaining! Lots of storage space, master suite & extra guest suite downstairs & 2 other bedrooms, playroom, & gameroom upstairs. Large greenbelt behind home offers extra privacy. Beautiful kitchen w/huge pantry! Upgrades galore! Refrigerator is included! Seller is willing to help with closing costs." 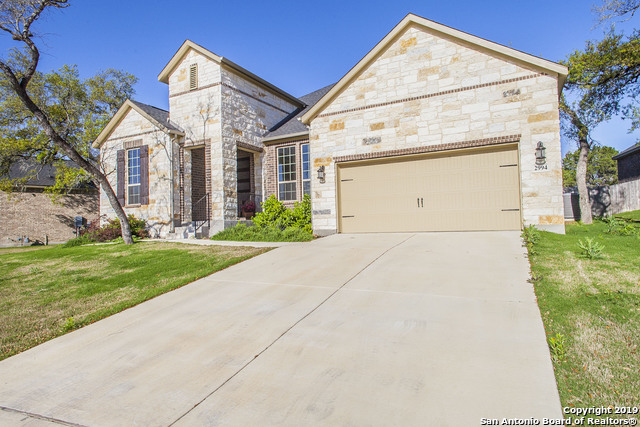 "Attractive single story home in desirable Bulverde awaits! Thoughtfully appointed w/ granite countertops, stainless steel appliances, 42 cabinets, upgraded subway tile backsplash, large kitchen island, ample counterspace, upgraded flooring, 3 car tandem garage, and more! 4 full size bedrooms (1 currently used as office). Home situated on oversized lot w/ greenbelt backdrop make it private & peaceful! Close to shopping, great schools, entertainment, major hwys & medical/professional services. " "MLS# 1332232 - Built by Highland Homes - CONST. COMPLETED Jan 31 ~ This lovely single story home has high ceilings, tall windows creating an abundance of natural light and an open living design. Upgrades include granite at the kitchen, mosaic backsplash and decorative surround in master shower and bath. With a gas drop at the patio for your future grill, it is the perfect space for entertaining.."
"The Madura by Lennar located in the prestigious Ventana community. Entering this one story home, the foyer leads to the kitchen and family room. The kitchen island overlooks the family, dining room, and covered patio. The walk in pantry has ample storage space. Four bedrooms and 3 baths for the growing family.The luxury master suite features a massive walk in closet. Home automation and tankless water heater. READY IN JUNE!" "MLS# 1314135 - Built by Highland Homes - CONST. COMPLETED Jul 15! ~ Model floor plan! Well appointed one-story home. The private backyard and extended patio with a gas stub offer an opportunity for an enjoyable outdoor lifestyle. The flexible entertainment room makes a great den, exercise room or media room. Additional storage is available with an over sized garage. Gorgeous upgrades bring an elegant touch!" "MLS# 1333815 - Built by Highland Homes - CONST. COMPLETED Jan 31! ~ Beautiful stucco and stone elevation. 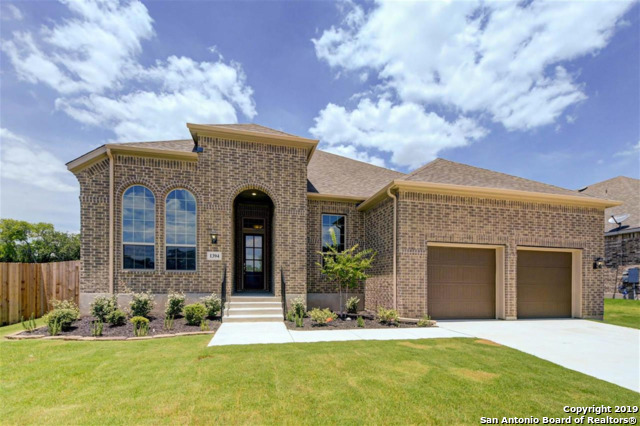 This one story home has 3 bedrooms, 2.5 baths, formal dining and study. Upgrades include 8' glass front door allowing for natural light, wood look tile throughout main areas and decorative kitchen backsplash and fireplace surround." "The Rosso by Lennar located in the prestigious Ventana community. Impressive front elevation leads into the foyer which flows to the kitchen. The kitchen island overlooks the family and dining room. Four bedrooms, 3 full baths, and a retreat that can be used as a study, game, or play room. A covered patio for entertaining or just enjoying the Hill Country views. Home automation, tankless water heater, faux 2 blinds included with this home." 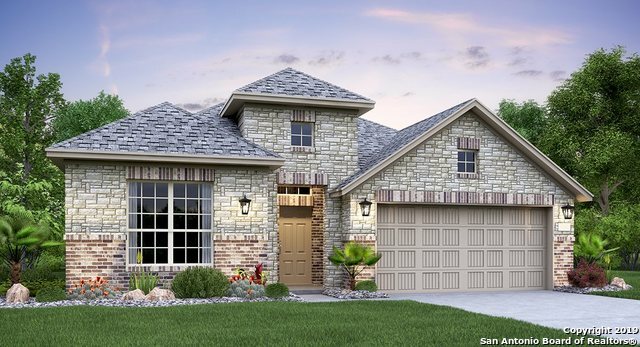 "The Gilson by Lennar located in the prestigious Ventana community. Impressive front elevation leads into the foyer which flows to the kitchen. The kitchen island overlooks the family and dining room. Four bedrooms, 3 full baths, and a retreat that can be used as a study, game, or play room. A covered patio for entertaining or just enjoying the Hill Country views. Home automation, tankless water heater, faux 2 blinds included with this home. **Photos are of Gilson model in Ventana. Colors and"
"The Alabaster by Lennar located in the prestigious Ventana community. Entering this two story home, the foyer leads to the kitchen and family room. The kitchen island overlooks the family, dining room, and covered patio. The walk in pantry has ample storage space. The luxury master suite features a walk in closet of generous size. Upstairs there are two bedrooms, Jack N Jill Bath, a powder bath and gameroom. Home automation and tankless water heater." "The Rosso by Lennar located in the prestigious Ventana community.The kitchen island overlooks the family and dining room. Four bedrooms, 3 full baths, and a retreat that can be used as a study, game, or play room. A covered patio for entertaining or just enjoying the Hill Country views. Home automation, tankless water heater, faux 2 blinds included with this home. 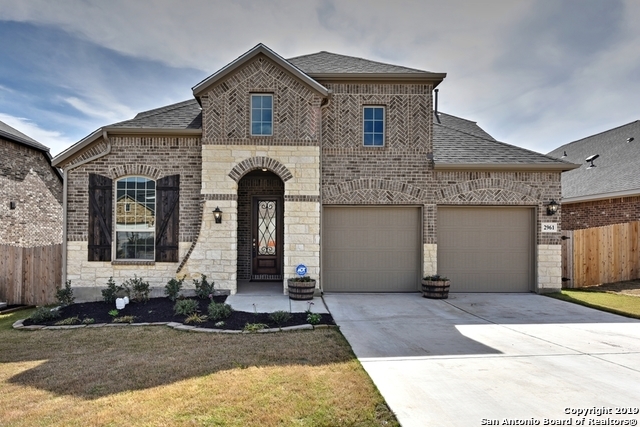 **Photos are of Rosso model home in Hidden Trails. Elevation, colors, and options may vary. **"
"The Madura by Lennar located in the prestigious Ventana community. Entering this one story home, the foyer leads to the kitchen and family room. The kitchen island overlooks the family, dining room, and covered patio. The walk in pantry has ample storage space. Four bedrooms and 3 baths for the growing family.The luxury master suite features a massive walk in closet. Home automation and tankless water heater. READY IN AUGUST!" "The Madura by Lennar located in the prestigious Ventana community. Entering this one story home, the foyer leads to the kitchen and family room. The kitchen island overlooks the family, dining room, and covered patio. The walk in pantry has ample storage space. Four bedrooms and 3 baths for the growing family.The luxury master suite features a massive walk in closet. Home automation and tankless water heater." 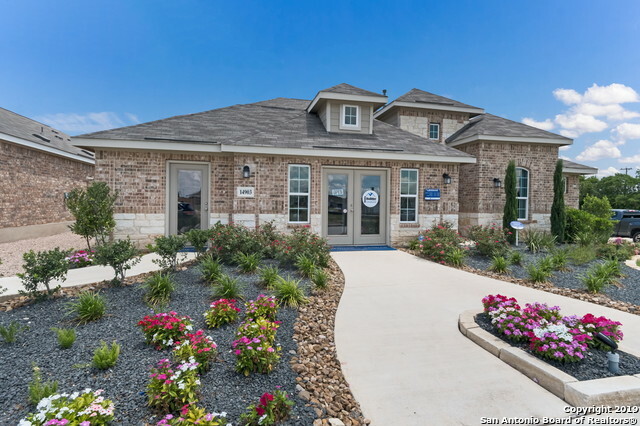 "The Bluebonnet is a 1-story floorplan that boasts 1,987 square feet of functional living space, and features 3 bedrooms, 3 bathrooms, and a 2 car garage." 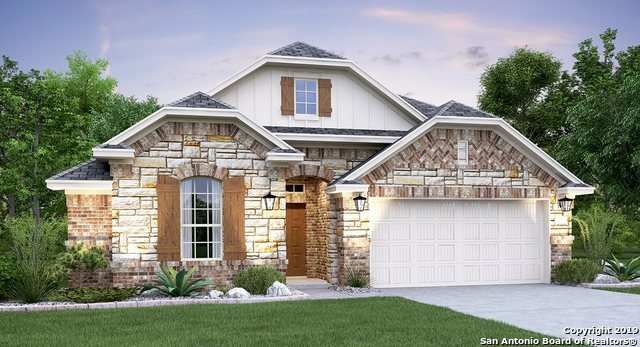 "The Jasper by Lennar located in the prestigious Ventana community. Impressive front elevation leads into the foyer which flows to the kitchen. The kitchen island overlooks the family and dining room. The master bath has a large, luxury walk in shower and spacious walk-in closet. A covered patio for entertaining or just enjoying the Hill Country views. Home automation, tankless water heater, faux 2 blinds included with this home."